A Blow heater or fan heater is a type of heater which uses a fan to move air over a heating element, our blow heaters use LPG (Liquefied Petroleum Gas) as the heat source. Once the air has been heated up by the heating element, the air flows out of the gas heater and warms up the surrounding area. Our gas fan heaters are usually more cost efficient to run over an electric fan heater when heating a large area, such as a warehouse for example. This is mostly due to the cost of electricity as LPG can be a cheaper alternative to electricity, when used in larger volumes. Each LPG fan heater is fitted with a FFD (Flame Failure Device) also known as a FSD (Flame Supervision Device). This device detects whether a flame is present within the gas heater, if there is no flame then the device will shut off the gas supply. 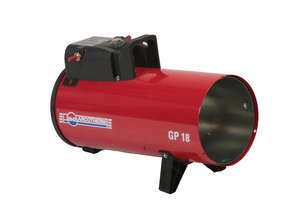 At I Gas Direct we stock a range of Industrial Blow Heaters. 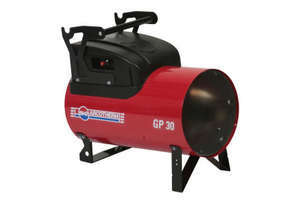 If you are looking for a LPG heater, we can fit your needs. These Blow Heaters are the perfect High Power Heaters. When it comes to finding a Site Heater, I Gas Direct is the place to go. Please contact us if you are searching for a Blow Heater or a High Power Heater, a member of our team will be in touch.